Tangy cheese served with a glass of port – delicious flavours of Christmas. And Marks and Spencer are giving you a little extra this season with half price Stilton and port. Special Reserve Port Decanter is now under £10 at £7.99 – this delicious port is crammed with berry flavours and spicy, festive notes. 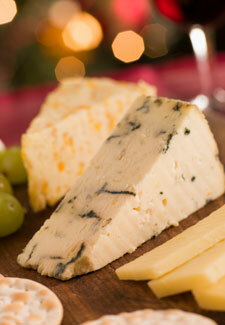 While the Stilton, originally priced at £7.43, now £3.71, is creamy, tangy and matured to give a full, rich taste. Did we mention that its award winning, too!